Stylishly designed. Your out-of-town guests will be blown away! Personalize your event gift bags with a 3’’ X 3’’ custom label! Select a label template or upload your own image. Using our label desinger plugin tool, add your custom text. We will affix your custom label on each welcome bag (centered on front side, below flap). Personalize your event welcome bags with custom labels! We will place your custom label on each welcome bag (centered on front side, below flap). Would you like to include a piece of literature as well? Upload your custom document at checkout and we will print, trifold, and include one copy inside each event welcome bag. 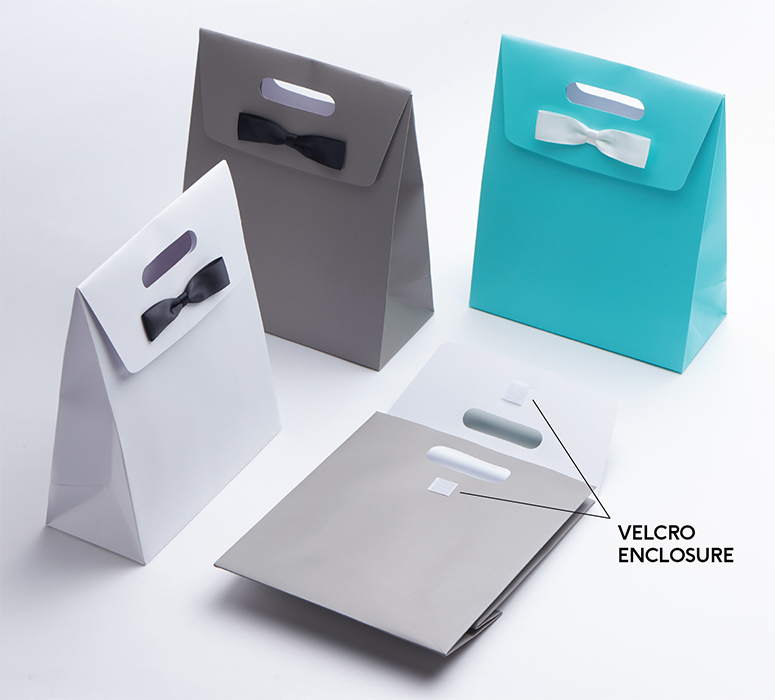 Our event gift bags feature a velcro tab closure, ensuring your welcome bags remain pre-filled until they are pulled open by your event attendees. Our event welcome bags are made of heavy duty recyclable cardboard and are sized juuuust right! 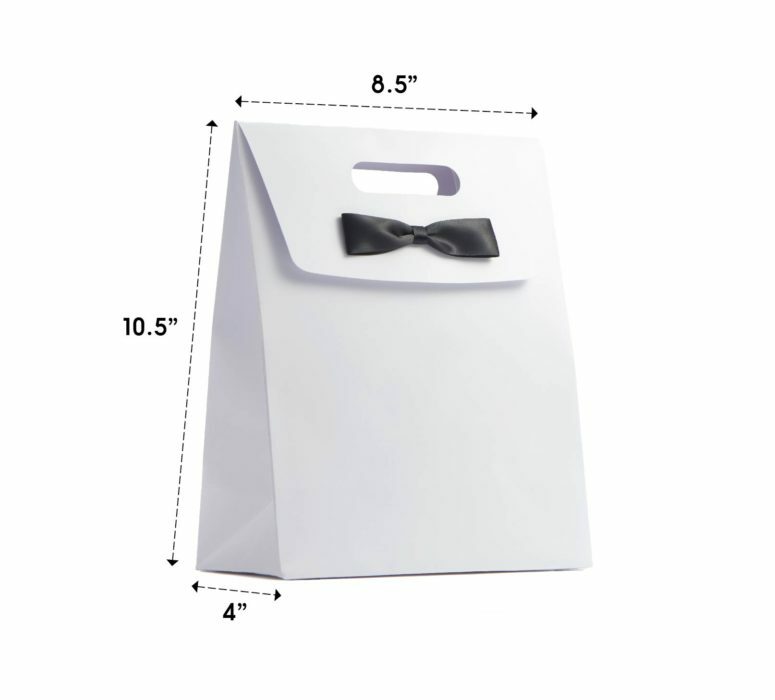 Our event welcome bags are made of heavy duty recyclable cardboard. Our welcome bags are sized juuuust right!